With younger kids, we often look for books that will help them make connections to the world they know. Picture books about the people they are related to, might meet or wonder about are very popular. You can find some Picture Books about Family in my 2015 reviews here, and check out Beautiful Books for Babies here. Below you’ll find reviews of 2016 published books about family members and other special people, as well as suggestions for more. Supermum by Leah Russack and Anil Tortop, published by Scholastic, 2016. RRP: $Au16.99. Superheroes have all kinds of special powers. They are super clever, super brave, super kind and super fun. And so are mums! What amazing superpowers does your SUPERMUM have? We see a range of mums, mostly animal, with the powers we all know mothers possess. Russack gives kids room to ponder their own mums’ abilities. Tortop’s whimsical illustrations bring out lots of humour and action. To laugh with the sunrise. Will you catch me breakfast, Mum? Stunning bright and colourful illustrations showcase a simple dialogue between a mother kookaburra and her baby. Kids will pick up facts about bird life, as well as draw parallels with their own mums. You might also like I Spy Mum by Janeen Brian and Chantal Stewart, My Mum’s the Best by Rosie Smith and Bruce Whatley, I Love You Just the Way You Are by Tammi Salzano and Ada Grey, How I Love You by Anna Pignataro, Your Mother Didn’t Do That by Sharon Holt and Brian Lovelock and Mum Goes to Work by Libby Gleeson and Leila Rudge. I think this is an important children’s picture book. Right from the start the reader is prompted to see life as it is for someone seeking asylum - I'm called an asylum seeker; but that's not my name - How easy it is for all of us to use a label for communication purposes, but so much harder to see behind the label to the real people and their stories. I believe understanding the plight of anyone seeking refuge helps us become a society where tolerance is prized and all people respected. I would recommend Out to libraries everywhere! You might also like Azzi In Between by Sarah Garland, My Two Blankets by Irena Kobold and Freya Blackwood, and The Treasure Box by Margaret Wild and Freya Blackwood. Wild Pa by Claire Saxby and Connah Brecon, published by Penguin Random House Australia, 2016. RRP: $Au24.99. Saxby is a writer who never lets us down. Whether she is riffing on old sailors with strange food habits (There Was an Old Sailor) or Jellagong leaves and creaking gates (Sheep, Goat and the Creaking Gate) you know when you pick up a Saxby book that it will engage kids from the very start. Wild Pa is a rhyming and rhythmic tribute to the adventurer that lurks inside pas and granddads everywhere. There’s lots of humour here for adults - My Pa is not a balding Pa, a comb-his-three-long-strands Pa - and for kids, but I believe kids will also think about what they love in their own Pa, and enjoy sharing his specialness. Brecon’s enthusiastic art work brims with the wildness Pas are famous for! Great choice for a resource to help celebrate Grandparents Day. Grandpa is Great by Laine Mitchell and Alison Edgson, published by Scholastic Australia, 2016. RRP: $Au16.99. I love my dear grandpa. We see different animal grandpas and get the chance to ponder over which Grandpa most resembles our own. You might also like Lucas and Jack by Ellie Royce and Andrew McLean, and Adventures with Grandpa by Rosemary Mastnak. 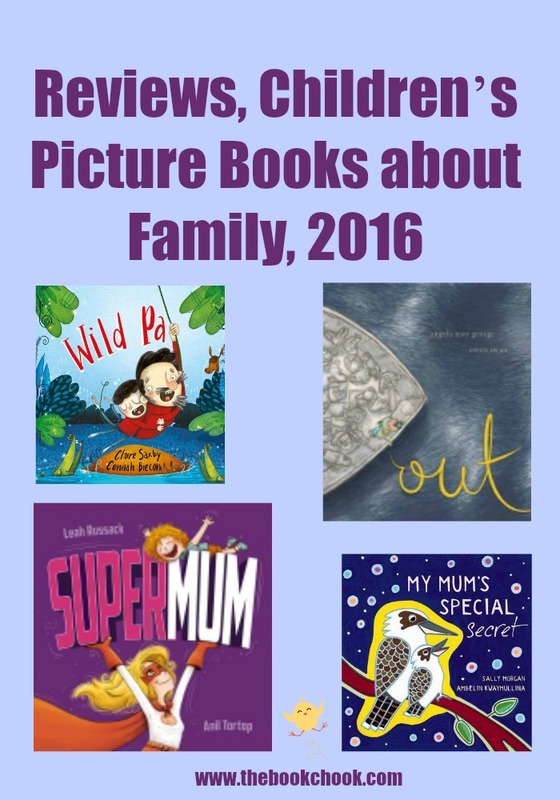 You might like I Spy Dad, by Janeen Brian and Chantal Stewart, Crabbing with Dad by Paul Seden, The Important Things by Peter Carnavas, My Dad is a Giraffe by Stephen Michael King, Daddies are Great by Meredith Contain and Polona Lovsin. . Try Nannie Loves, Jam for Nana, and Grandma, the Baby and Me.